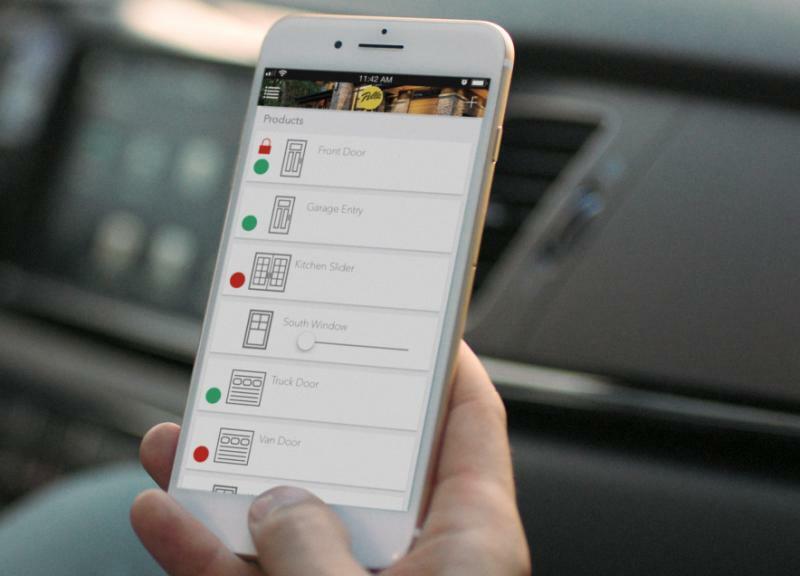 Window and door manufacturer Pella has debuted a smartphone app that can monitor window and door status and control integrated blinds and shades. The company says the app, which is free for Apple and Android users, is a solution for homeowners who forget if they’ve closed or locked their windows and doors. The app allows users to check the status of their Insynctive-enabled Pella products using the Insynctive Bridge hub. It also allows for the control and programming of motorized between-the-glass blinds and shades in Pella’s windows and doors. A number of Pella products, including the Architect Series, Designer Series, and entry doors, feature built-in Insynctive sensors, preventing the technology from affecting the look of the products. The wireless sensors do not require drilling, preserving the warranty of the products. "Through integrated technology and the new Pella Insynctive app, Pella windows and doors can deliver the added peace of mind that our customers desire." says Caleb Klein, product manager for Insynctive technology. "As a company, our goal is to continue to create innovations like Insynctive that maintain the integrity of beautiful design, address the ever-changing needs of our customers, and make life easier by creating added security, comfort, and convenience." The Insynctive system of sensors and controls, which has been available since 2015, is compatible with a variety of security systems and home automation systems, including Honeywell, Elan, and Creston.